You most likely spent a small fortune on your new TV. While you’re thrilled, you probably have a few nay-sayers telling you to spend even more money on better sound to match the stunning visuals. Here’s the deal: If you’re watching the news, binging on nostalgic sitcoms on Netflix, or just having a laugh with some friends while watching cat videos, the speakers your TV came with might be just fine. Movies are more than just a feast for the eyes. In recent years, they’ve been painstakingly assembled with soundtracks that were meant to be experienced in a commercial cinema, using speakers that surround the audience and immerse them into the action. Your TV’s built-in speakers simply can’t keep up with that demand. For much better movie sound, you need external speakers -- preferably ones designed for home theaters. These can take several forms, from a 5.1 setup with five dedicated wired speakers, and one subwoofer -- all powered from an A/V receiver -- to a single soundbar designed to simulate a full surround sound home theater arrangement. Regardless of which version of home theater sound system you opt for, the result will be far better sound than your TV can produce on its own. Dolby Atmos is the ultimate in home theater sound. Ordinary surround sound does a good job of immersing you in a movie’s soundtrack. You get a distinct impression of the action happening all around you. On the other hand, Dolby Atmos takes the experience to the next level. Not only does it add “height” speakers, which provide a sound source from above you, it also changes the way sounds are played. With conventional 5.1 or 7.1 surround sound, the soundtrack is separated into five or seven tracks, depending on the number of speakers. When something happens on-screen, like an explosion, or bullets being fired, these sounds are usually contained to one or two of these tracks. Dolby Atmos allows sounds associated with specific on-screen objects to move from speaker to speaker in perfect balance with what you’re seeing on-screen. The result is the most immersive movie sound experience you can achieve at home. 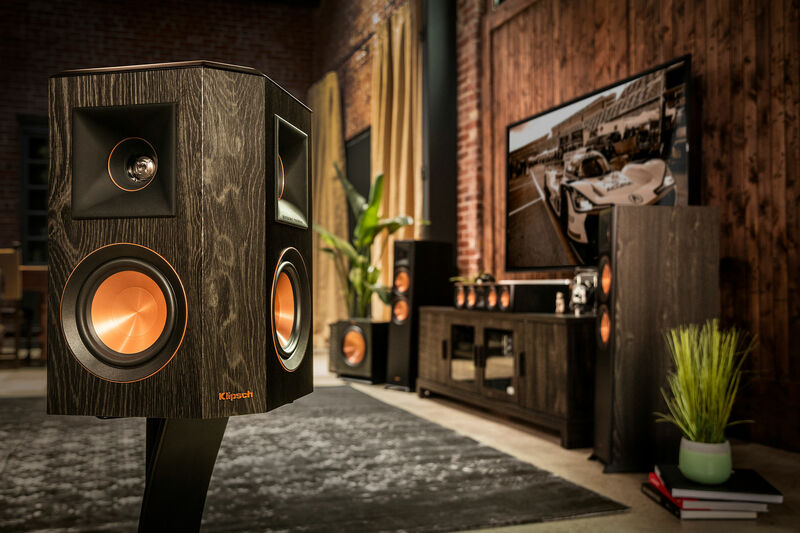 If you have an existing 5.1 or 7.1 system (and a Dolby Atmos A/V receiver), you can get Dolby Atmos sound simply by adding two Dolby Atmos height speakers like these Klipsch R-41SA height surround models. If there was an Academy Award for the most non-stop action in a movie, Mad Max: Fury Road would be the undisputed winner. With a script and soundtrack that casts roaring, gasoline-powered, post-apocalyptic machines as the main stars, the lack of dialogue is irrelevant. You don’t watch this movie as much as you live through it. Soundtracks don’t get much more visceral than this. If it’s true that this cyberpunk vision of the future became an instant classic when it was released in 1999, then it’s equally true that its UltraHD, Dolby Atmos Blu-Ray re-release is a modern classic, thanks to its remastered soundtrack. Now, being inside the Matrix sounds as cool as it looks. Remember, there is no spoon. 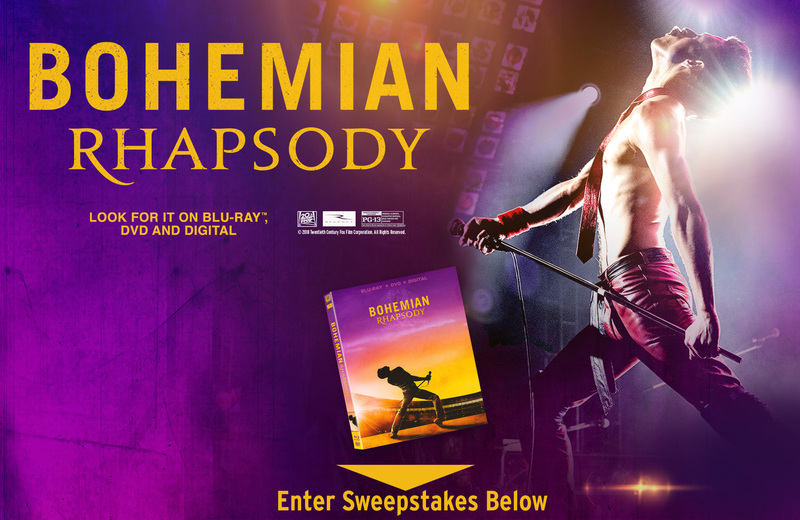 Whether you’re a fan of Queen or not, this biographical story of the band’s rise to fame will bring you to your feet. With a recreation of the band’s show-stopping performance at LiveAid 1985, right down to the cups of Pepsi on Freddie Mercury’s piano, the visuals are only matched by the life-like soundtrack, which places you on stage at Wembley Stadium for the entire set. 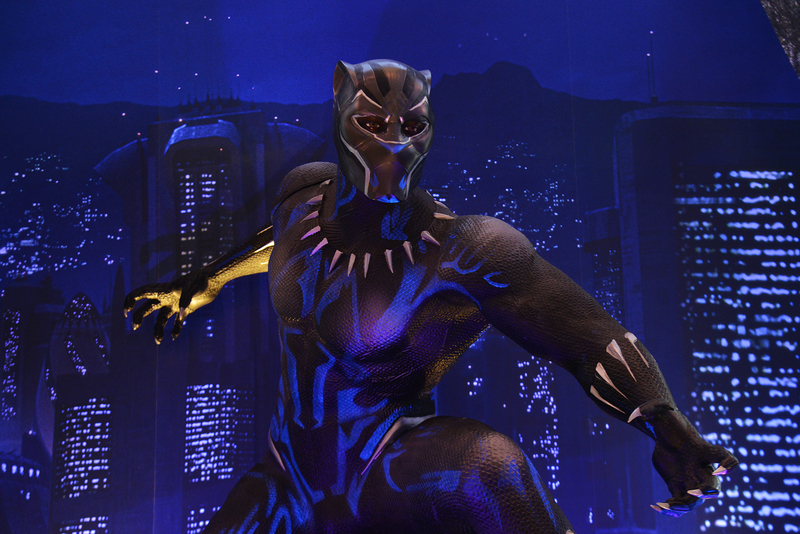 A must-see film from the brilliant minds of the Marvel Cinematic Universe about the mythical king of Wakanda. From an audio point of view, it’s a tour-de-force, combining deeply rhythmic tracks from Kendrick Lamar and The Weeknd with the dynamic, 360-degree on-screen action that is the hallmark of the MCU. You wouldn’t expect a movie which takes place in the largely silent vacuum of space would have an especially noteworthy soundtrack. And yet, thanks to almost constant movement that Sandra Bullock’s astronaut character experiences, the sound becomes an essential element of how we join her on her harrowing escape from catastrophe. No movie to-date more effectively demonstrates the power of a Dolby Atmos sound system to create a completely convincing feeling of being personally immersed in a story. What are some of your top sounding flicks? Share in the comments!